There’s quite a variety of pet foods available on the market, but trying to decipher the label and list of ingredients can seem like a daunting task. To be an educated consumer, one of the most important things to remember is that your pet needs certain “nutrients” both in the proper amount and proportion. Nutrients can have an effect on everything from your pet’s skin/coat and oral health, to its digestive system and immunity abilities. 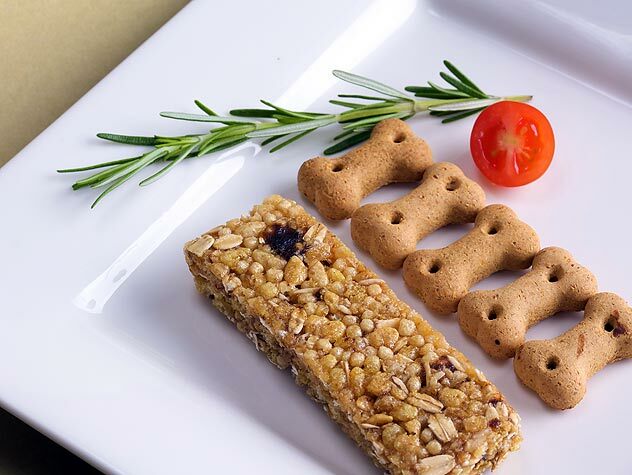 In this article, we will be discussing the good ingredients that are used in today’s pet foods, how they affect the food and the benefits to your pet’s overall health and longevity. Note that pet food labeling in the U.S. is regulated by the Food and Drug Administration – Center for Veterinary Medicine (FDA-CVM), the United States Department of Agriculture (USDA) and the individual state control officials in each state Department of Agriculture. The Association of American Feed Control Officials (AAFCO) also provides guidelines. From the beginning, you’ll want to take into consideration your pet’s age, weight, breed and disease status before choosing a brand and/or diet. Next, there are five groups of nutrients that you should see on the label – proteins, carbohydrates, fats, vitamins, minerals and water (moisture level). Percentages are typically given for these but you have to consider the sources as well. Generally speaking, the list of ingredients is presented in order of weight. Grains comprise most of the carbohydrate ingredients in pet foods and are an excellent source of energy for dogs and cats. They also contribute some protein, fat, fiber, vitamins and minerals and are important for texture, digestibility and palatability of pet foods. Look for barley, brewer’s rice, brown rice, corn, oat flour and rice flour. In addition, potato meal, which is not a grain, is an important source of carbohydrates. Fiber ingredients are either soluble or insoluble – based on their ability to dissolve in water. 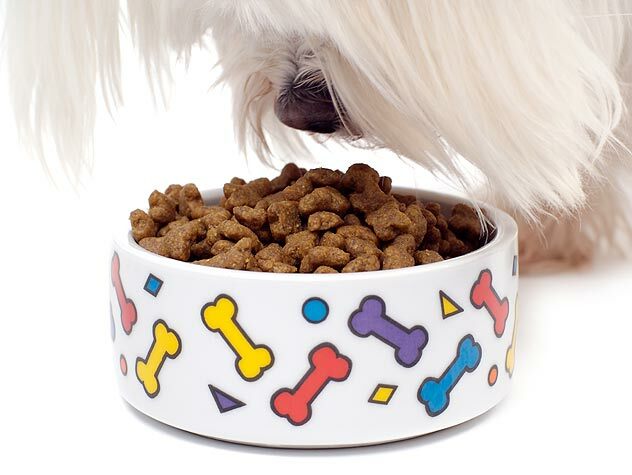 Fiber helps maintain gastrointestinal function in your pet and also contributes to the food’s texture and consistency. Oat groats, oat bran, oat hulls, apple pomace (cleaned, dried remains of whole apples), carrot pomace, cellulose and dried beet pulp are all good choices. There’s peafiber and carrageenan (helps canned food from separating) along with flax meal, which is a rich source of omega 3 fatty acids. Both animals and plants can be a source of fat, which provides energy, essential fatty acids, omega 3 and omega 6 fatty acids and gamma-linoleic acid. Sources include animal fat and a variety of oils: vegetable, flaxseed, salmon, borage (from seeds of the borage plant), canola, coconut, corn, primrose and herring oil; tallow (rendered fat), poultry fat and lard. Fats are essential to dogs and cats for healthy skin and coats and for transporting essential fat-soluble vitamins. Like minerals, vitamins can be found in some of the other ingredients or added to ensure adequate supply and availability. Some vitamins such as vitamin C and E are used for their antioxidant capability. Antioxidants are added to keep food from oxidizing or spoiling. They can be natural (i.e., tocopherols, rosemary extract, vitamin E and citric acid) or synthetic (ethoxyquin, butylated hydroxyanisole [BHA] and butylated hydroxytoluene [BHT]). BHA and BHT are considered safe. Brewer’s yeast is a rich source of B vitamins. Pet food feeding guidelines are required on packages of pet food, while snacks/treats and veterinary medical foods do not need to have this. Your veterinarian should give you information with the feeding guidelines for veterinary medical diets. Use this as a starting point as your pet may require more or less food. It depends on its level of activity, body condition, stress level, reproductive status or environment. Want to know what the listed ingredients in your dog's food really are? Find out with our quick guide for reading dog-food labels.